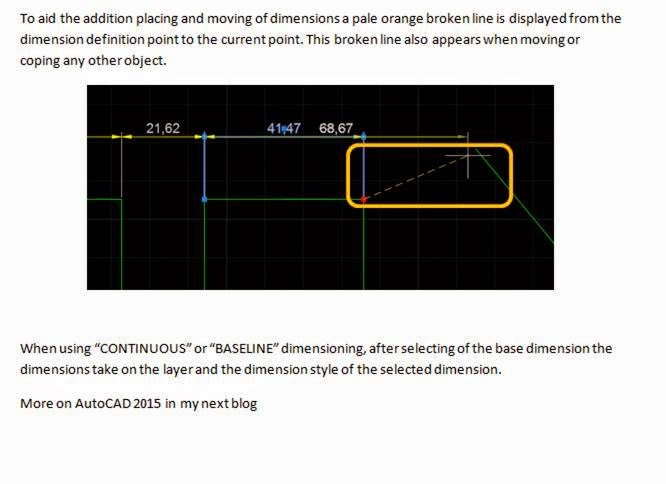 AutoCAD 2015 now has a useful dimension enhancement, in previous versions when dimensioning it was always possible to snap to the end of the dimension extension line instead of the object to be dimensioned. The end point of the extension line nearest the object is now ignored and is not snap able, making dimensioning a quicker, easier and more accurate task. 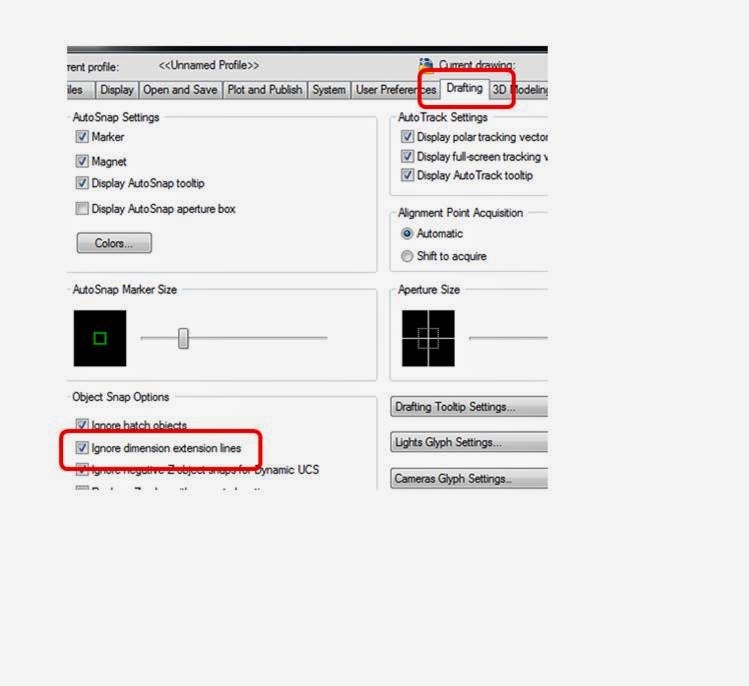 This function may be turned off by unchecking the box “IGNORE DIMENSION EXTENSION LINES” in the “DRAFTING” tab of the “OPTIONS” dialogue box. It may also be changed by typing in “OSOPTIONS” at the command line; this variable also controls the suppression of snaps on hatch objects and geometry with negative “Z” values. 0 - Object snaps operate on hatch objects, and on geometry with negative Z values when using a dynamic UCS. 1 - Object snaps ignore hatch objects. 2 - Object snaps ignore geometry with negative Z values during the use of a dynamic UCS (this is not available in AutoCAD LT). 4 - Objects snaps ignore endpoints of dimension extension lines closest to the object being dimensioned. The above values are also reflected by checking and unchecking the boxes in the “OBJECT SNAP OPTIONS” in the “DRAFTING” tab of the “OPTIONS” dialogue box.